I was somewhat disappointed with the Israeli presence at SHOT Show 2015. Not a lot of surprises. No new releases from IWI-US, albeit they certainly had quite a lot of announcements last year. Short Barrel Shepherd has a nice write-up, but couldn’t get them to talk about factory stocks for SBRs. Also seemed like there was some pull-back on the braces, which is not surprising given recent BATFE actions. UPDATE: Adipose at Uzitalk confirmed with them that alternate stocks will be offered, including the Vietnamese wire folder. The “I can’t deal with AR stocks on rifles not an AR” crowd should rejoice, I suppose – horrible cheek weld will be yours again. Meprolight launched a pair of new handgun sight lines that use tritium and fiber optics for illumination. The FT line is interesting from the perspective that TruGlo’s TFO sights are regarded as having durability issues, so Meprolight may be able to provide a better alternative. The RE series doesn’t use fiber optics, but does have an innovative (gimmicky?) dot-in-crosshairs approach. I’d give them a try, I suppose. There was also a camo-skinned M21 (“M21H”) introduced. I can literally not think of a market that the M21H would appeal to. Hunters use magnified optics. Modern sporting rifle owners will spray the current M21 to match their color scheme, or just go with black. Maybe Mepro will prove me wrong and sell a zillion of these things, but it feels like an ill-conceived product. The Mepro 4x is still missing in action, which is a shame – maybe they felt it couldn’t compete in the US market against the ACOG? There were rumors that FAB Defense was going to introduce a polymer KPOS chassis, but nothing was shown. I am really hoping things are bit more exciting next year, as I am planning on attending SHOT in person. I got an email this morning from Guy Tal over at MagLULA announcing their newest Israeli-made product, the 30-round AR15 / M4 universal heavy-duty Range BenchLoader. It appears to be a polymer cost-reduced version of their existing AR15 / M16 / M4 BenchLoader. Given that this new version has a MSRP of $165 (versus $430 street for the older one), I think it has much more of a chance at succeeding in the market. You can see how it works in this video. As I have previously reported, IWI-US is going to be releasing the Uzi Pro Pistol in 2015, and showing it off at SHOT Show 2015. The press release is after the break. 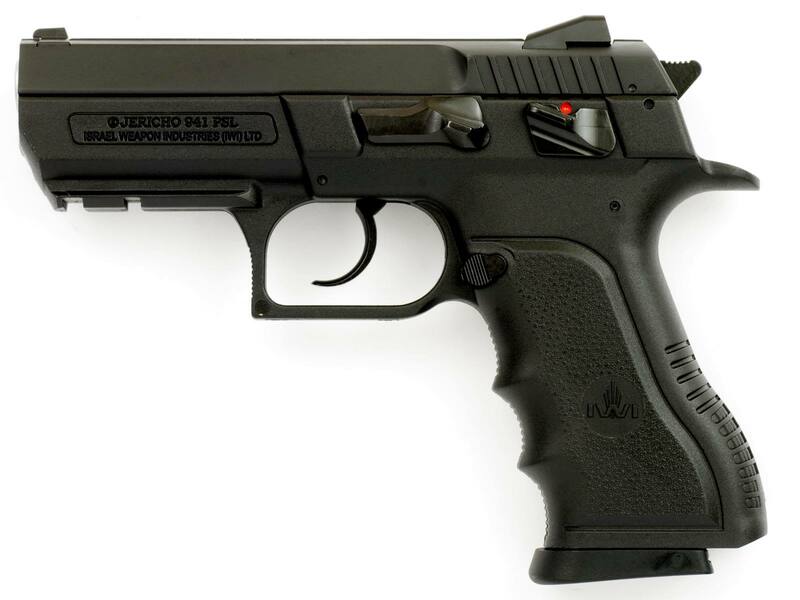 IWI-US importing the Jericho 941? IWI-US just posted up pictures (on their Facebook page) of the Jericho 941FS (steel-frame, frame-safety, compact) in .45ACP and Jericho 941PSL (polymer-frame, frame-safety, compact) in 9mm, with promises of a press release tomorrow. You don’t need to be a genius to figure out that this is probably going to be an announcement that IWI-US is taking over the imports of the Jericho from Magnum Research. Given how badly Magnum Research has done at marketing the Jericho (“Baby Eagle” – seriously? ), this is a big step in the right direction. In my opinion, pricing is really going to be the make-or-break on the Jericho’s success. We’ve seen an influx of high-quality pistols from Turkey and Slovakia lately, and it’s becoming less and less clear that the > $600 price point is really sustainable on a gun that’s essentially an already-widely-available Tanfoglio. They’d be well-advised to think about offering models with threaded barrels and night sights at a minimum. If you want the full run-down on the Jericho 941 models, you should look at the IWI brochure (PDF). Now, here’s the real question: what’s Magnum Research going to do? If it were me, I’d be looking at importing BUL Cherokees, given their existing relationship with BUL (the “Desert Eagle” 1911s are supposedly BUL guns). But those lack the cachet that the Jericho has… this should be interesting. I regard the entry of IWI into the US civilian market as one of the biggest firearms stories of the decade – and, yeah, that’s with half the decade to go. Michael Kassnar deserves a huge amount of credit for making this happen, and the entire IWI-US organization should be lauded for what is the most flawless roll-out of a totally new product in recent memory with the Tavor (and accompanying 9mm conversion kit). Their execution after the Tavor, however, hasn’t been as fast and clean as I’d like. The 5.45×39 conversion got cancelled for somewhat dubious reasons (no reliable US made magazines? Really. 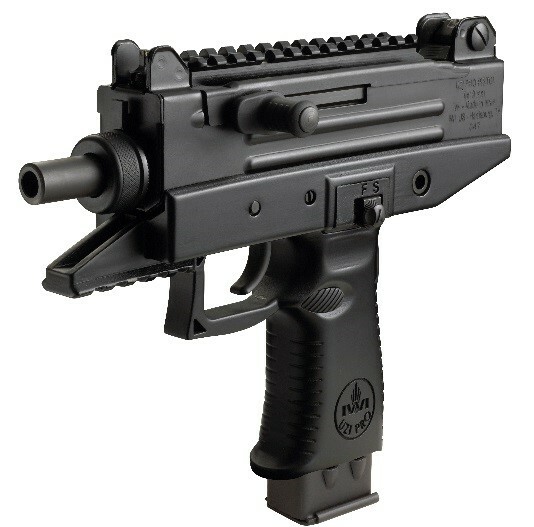 ), the .300AAC conversion barrel has been MIA, and the Uzi Pro Pistol was delayed due to its propensity to stop being semi-auto. Don’t even get me started on the spare parts situation. The Tavor is great, and still selling well, but you can only rest on your laurels so long. Thankfully, IWI-US seems to have made some moves lately, and they have some great products in the pipeline!